Svedlund NE1,2, Norring C3,4, Ginsberg Y3,5, von Hausswolff-Juhlin Y3,4. BMC Psychiatry. 2017 Jan 17;17(1):19. doi: 10.1186/s12888-016-1093-1. Very little is known about the prevalence of ADHD symptoms in Bulimia Nervosa and Binge Eating Disorder and even less in other eating disorders. This knowledge gap is of clinical importance since stimulant treatment is proven effective in Binge Eating Disorder and discussed as a treatment possibility for Bulimia Nervosa. 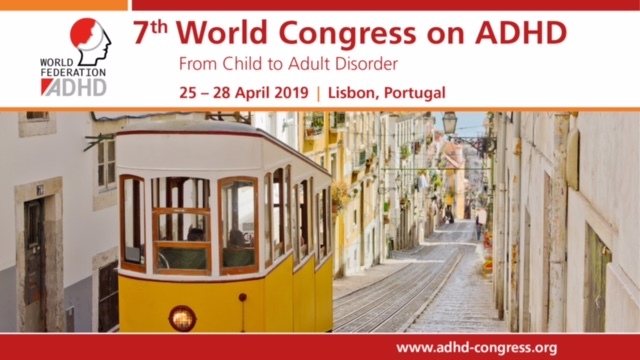 The objective of this study was to explore the prevalence and types of self-reported ADHD symptoms in an unselected group of eating disorder patients assessed in a specialized eating disorder clinic. In total 1165 adults with an eating disorder were assessed with a battery of standardized instruments, for measuring inter alia ADHD screening, demographic variables, eating disorder symptoms and psychiatric comorbidity. Chi-square tests were used for categorical variables and Kruskal-Wallis tests for continuous variables. Almost one third (31.3 %) of the patients scored above the screening cut off indicating a possible ADHD. The highest prevalence rates (35–37 %) were found in Bulimia Nervosa and Anorexia Nervosa bingeing/purging subtype, while Eating Disorder Not Otherwise Specified type 1–4 and Binge Eating Disorder patients reported slightly below average (26–31 %), and Anorexia Nervosa restricting subtype patients even lower (18 %). Presence of binge eating, purging, loss of control over eating and non-anorectic BMI were related to results indicating a possible ADHD. Psychiatric comorbidity correlated to ADHD symptoms without explaining the differences between eating disorder diagnoses. There is a high frequency of ADHD symptoms in patients with binge eating/purging eating disorders that motivates further studies, particularly concerning the effects of ADHD medication. The finding that the frequency of ADHD symptoms in anorexia nervosa with binge eating/purging is as high as in bulimia nervosa highlights the need also for this group. There is an overlap in symptoms and treatment response between ADHD and eating disorders (ED). Both share problems with impulsivity, depression, anxiety and low self-esteem, and there are case reports observing a rapid and significant reduction of binge eating and purging symptoms in patients with Bulimia Nervosa/Binge Eating Disorder and comorbid ADHD when treated with stimulants. Despite the high prevalence rates and debilitating symptoms of both ADHD and EDs, and their substantial overlap in symptoms and response to treatment, very little is known about the prevalence of ADHD symptoms in the range of ED diagnoses. This prospective study explored the prevalence rates and types of self-reported ADHD symptoms in a large, unselected group of adult (18-70 years) ED patients of both genders assessed in a specialized ED clinic in Stockholm, Sweden from 2013 until 2015. Further, the association between ADHD symptoms and the full range of ED diagnoses were explored, and whether the relationship was influenced by depressive, anxious or obsessive-compulsive symptoms. All participants were assessed with Stepwise, a web-based quality assurance system for clinical ED care. From Stepwise data were used from the Structured Eating Disorder Interview for ED diagnoses according to DSM-IV-TR, the Comprehensive Psychiatric Rating Scale for self-reported depression, anxiety and obsession-compulsion, and ASRS-Screener for self-reported ADHD symptoms. The total sum of ASRS-Screener was used as the ASRS trait score (range 0-24), and the dichotomized scale (0-13/14-24) for identifying possible cases of ADHD. Further, the four items for inattention and the two for hyperactivity/impulsivity were used separately as an inattention trait score (range 0-16) and a hyperactivity trait score (range 0-8), respectively. Demographic data were retrieved from Riksät, the Swedish national quality register for ED treatment. Of the 1165 patients, 47 were males. Due to their documented differences in symptoms compared to females and risk of confounding of the results, males were described separately and not included in the further statistical analyses. In total, almost one third (31.3%) of the 1165 ED patients scored above cut-off (≥14) on the ASRS-Screener, indicating a possible ADHD. The highest frequencies (35-37%) were observed for Bulimia Nervosa and Anorexia Nervosa-bingeing /purging subtype. Intermediate frequencies (26-31%) were observed for patients with Eating Disorder Not Otherwise Specified, restricting type and bingeing/purging type, respectively, and Binge Eating Disorder patients, while the lowest frequency (but still quite high) of possible ADHD was demonstrated for Anorexia Nervosa-restricting subtype (18%). These results indicate that the shared symptoms between ADHD and ED seem to mainly be related to bingeing and purging ED symptoms. In addition, symptoms of inattention were more prominent than hyperactive /impulsive symptoms in adult female ED patients. Further analyses suggested that an ASRS-Screener score of ≥14 was correlated with binge eating, purging, loss of control over the eating and a non-anorectic BMI of >17.5. Loss of control seems to be a central issue that co-varies with both ADHD and ED, according to this study. Symptoms of depression, anxiety and obsession-compulsion demonstrated a medium strong correlation with ADHD symptoms, but did not fully explain the differences in ASRS trait score between ED diagnoses. In conclusion, the findings of this study, observing a high frequency of ADHD symptoms in adult ED patients with bingeing/purging, motivates further studies, including validation of the ASRS-Screener, fully diagnostic assessments of ADHD in ED populations, as well as randomized controlled trials evaluating stimulants for bingeing/purging ED patients, with and without a concomitant ADHD diagnosis.